HONK HONK! Hello everyone, Skeeter Valentine here to make you smile with my beat-boxing beats! 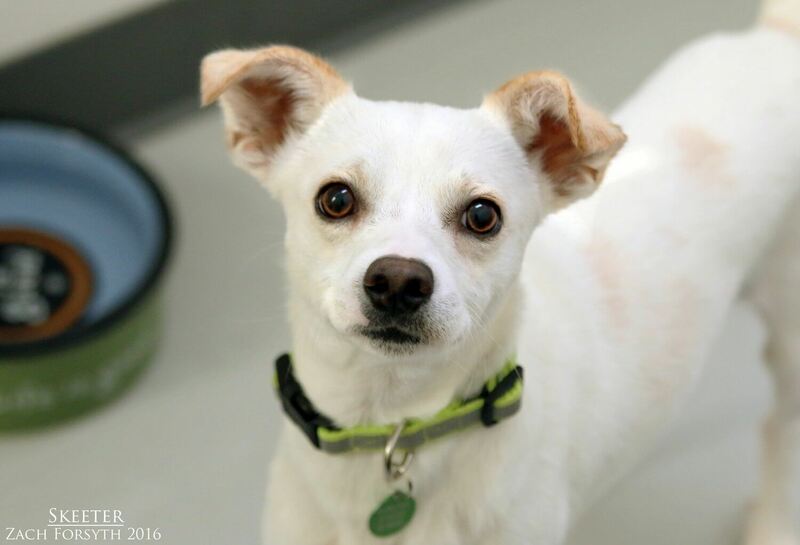 I am a 9 month old Chihuahua mix who gets my funny name from my favorite cartoon, Doug! I am just as eccentric as the character on the show and I am just a lovable goofball who loves a good puppy romp with my doggy pals here at Pixie! The city is still pretty new to me and I am still getting used to all the new sites and sounds, so I can be a bit socially sensitive. But once I come out of my shell with some help with a few treats, I really want nothing more than to snuggle and play with some toys! Since I am a bit shy, I do need to be in a home with kids ages 12 and up. Did I mention I am smart? I am fast learner, which will help for my puppy class. PUPPY CLASSES ARE MANDATORY FOR MY ADOPTION! Want to be my best friend? Then fill out an application today, so we can set up a meet! I come to you neutered, vaccinated, and micro-chipped for an adoption fee of $250.